In 1925 Marcel Rochas created the fashion Maison in France. The designer was known as "youth designer" for his love to sports, travel and his film passion.Such was his fame and prestige that in the 30’s was twice the cover of Vogue magazine. 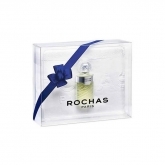 Rochas was introduced into the world of perfume just before the 2nd World War with "Matigon Avenue", "Air Jeune" and "Audace", but when war came he had to withdraw them from the market. In 1949 he was able to return to the perfume market and with the collaboration of the famous perfumer Edmond Roudnitska, "Femme" was launched, which was inspired by his wife Hélène. Rochas has always been special, with each perfume created he drew accessories, such as lipstick. 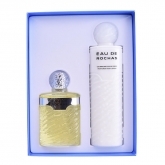 If there is a perfume that represents the brand that is Eau Rochas.